Sign on: to be confirmed. Sign on closes 30mins before the respective race start times. Gear restrictions will apply to all riders riding in Youth A, B and C Championship races. Bikes must be presented to the Commissaire for checking prior sign-on. Please note that it is the riders responsibility to ensure that their gearing complies with the current rules of Scottish Cycling. The Commissaire will not adjust / block off gears on behalf of the riders. 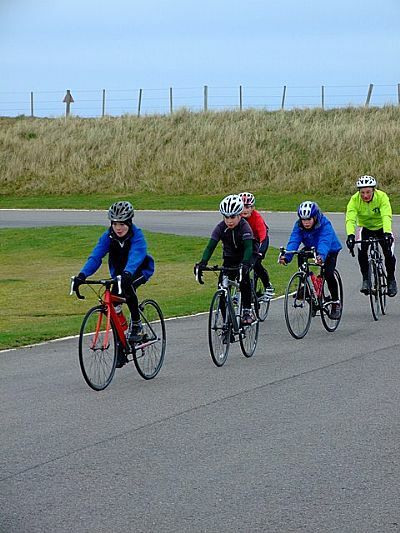 Youth C, D and E are allowed to race on any freewheeled bike for road (eg. a MTB). On all Crit races transponders will be used to record laps and finishing positions. For all other races a road race bike is required!